We like to hear from you. Contact us today! 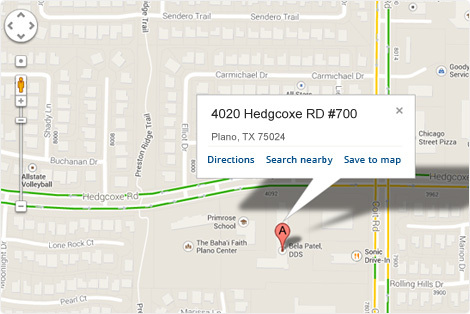 We are located at the Southwest Corner of Coit Rd. &Hedgcoxe Rd. in Plano with easy access from major highways and main roads. © 2013 Medical Clinic. All Rights Reserveds.